Platelet-rich plasma (PRP) therapy is a natural and nonsurgical solution for hair restoration that involves injecting powerful growth factors-primarily from your own blood-into the thinning areas of your scalp. Because your own plasma is used, there is no risk for infection or allergy. Your platelets contain numerous growth factors that help stimulate the follicles, reducing the effects of thinning. As soon as I turned age 40, my hair began to thin, become brittle and break easily. I didn’t have actual bald spots, but I was losing my hair in the front of my hairline and all over the perimeter of my head. It was both embarrassing and frustrating. For years, I spent thousands of dollars on hair extensions, supplements, and over the counter hair regrowth treatments. After just three treatments with platelet gel growth factors not only did my hair grow at a superfast rate but the hair that grew in was stronger, thicker and fuller. I saw an improvement in growth in about 2 1/2 weeks and an immense improvement in overall quality in four months. This treatment was a game changer for me. Five months after the last treatment, I no longer use any other hair enhancement products. The hair growing in is thicker, stronger, and fuller than my hair was as a teenager. This is truly amazing technology and has made a huge difference in my life. 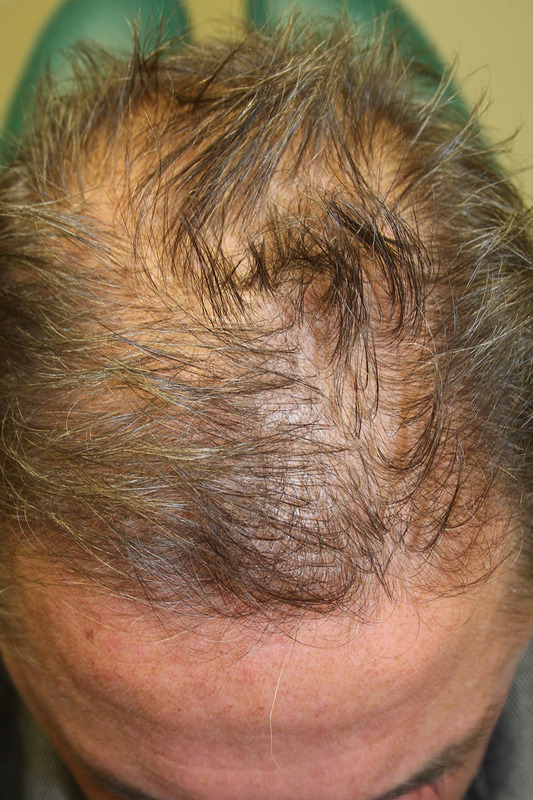 PRP therapy works best for people who are in the early stages of hair loss. Though it can effectively stimulate declining hair follicles, it cannot reactivate completely inactive hair follicles. It works well in woman as well as men. 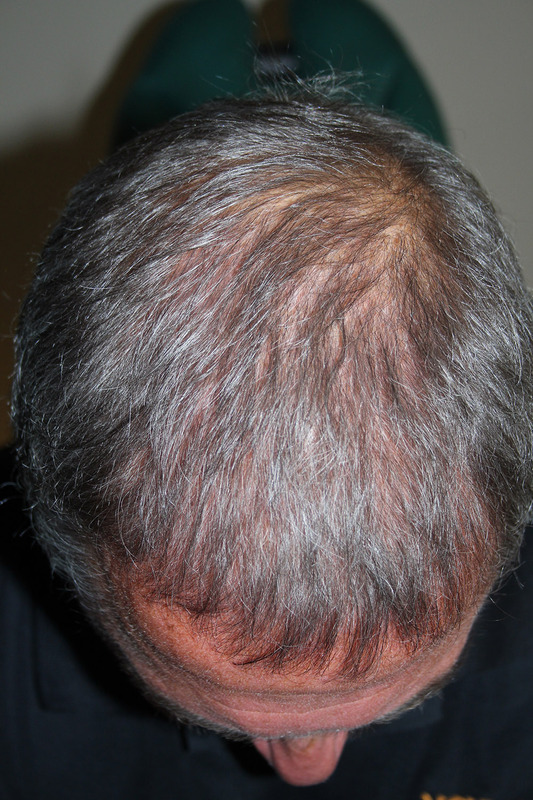 The PRP hair restoration treatment itself is a multi-step process that typically takes less than an hour. First, we collect a small amount of your own blood. Using a centrifuge, the platelet rich plasma is separated from the regular blood cells. Then your scalp is prepared with a local anesthetic injection to minimize discomfort. Dr. Cynthia Strohmeyer and her staff then use a very fine needle to inject small amounts of plasma into your scalp. PRP then increases blood flow to the area, which improves the health of the hair follicle. You may be slightly red and tender near the injection sites after a treatment. Because these sites heal rapidly, no downtime is required. Patients can return to normal daily activities immediately following treatment. You may shower and wash your hair as early as the next morning. You will begin to notice results within 2 to 3 months as the hair follicles reactivate and begin to produce hair at a normal growth rate. Because hair grows in cycles, patients typically have 3 treatments spaced a month apart to account for declining follicles in each cycle. Once you have reached your desired results, patients usually only need treatment once a year to maintain results.